Antonio Vazquez (antoniov) updated subscribers of T63756: Curve polygon stroke detail depends on motion events. Campbell Barton (campbellbarton) triaged T63756: Curve polygon stroke detail depends on motion events as Confirmed, Low priority. Campbell Barton (campbellbarton) updated the task description for T63756: Curve polygon stroke detail depends on motion events. Campbell Barton (campbellbarton) created T63756: Curve polygon stroke detail depends on motion events. Howard Trickey (howardt) added a comment to T63712: Update bevel_regression.blend automated testfile. I can't reproduce this. I've been updating bevel_regression.blend pretty regularly (last time Feb 11) and it passes for me. and it runs that bevel test and shows it passing. Similarly if I "make test" on Linux. Brecht Van Lommel (brecht) closed T55995: Blender 2.8 alpha - Release "does not confirm" on Bevel operation. as Resolved. Brendon Murphy (meta-androcto) added a comment to T51049: SmartF easy fast tool for making faces Blender 2.8. Thank you. I'll find time to test. Are you prepared to maintain this long term? CansecoGPC (CansecoGPC) added a comment to T51049: SmartF easy fast tool for making faces Blender 2.8. Updated addon to work with latest API changes. Howard Trickey (howardt) closed T58822: Bevel tool (and modifier) doesn't work properly as Invalid. OK, I finally found time to look at this. Unfortunately, I am going to close this as "working as intended". The workaround cited above (turn off Loop Slide) should be satisfactory in cases like this. Howard Trickey (howardt) closed T40075: Bevel unexpected result with certain geometry as Resolved. Rohan's GSoC fix did indeed fix this particular case and is now in master, so closing this bug. Howard Trickey (howardt) closed T50819: Bevelling an edge loop gives bad geometry as Resolved. Clearing out old bugs. Clamping is currently working as intended, even if not ideal. The long term fix is to actually have the geometry merge and/or otherwise do intelligent things when collision happens, and then remove 'Clamp' completely. I hope to get to that as my next big bevel improvement project, though it is some time off. Howard Trickey (howardt) closed T53592: Bevel operator do not confirm on release nor with spacebar like others as Resolved. Closing this now that Bevel has a user editable keymap, so users can map spacebar to confirm if that's what they want. Brecht Van Lommel (brecht) closed T60693: Messy Shading of Multiple-Faced Flat Surfaces in Workbench Matcap Rendered View as Archived. Artifacts from overlapping faces are not currently considered a bug. Sergey Sharybin (sergey) closed T56726: Binding a surface deform modifier on an object with a subdivision surface modifier crashes Blender 2.8 as Resolved. Can no longer reproduce the crash and modifier appears to work correct after binding. Considering it solved. Frederico Martins (frederico4d) added a comment to T48583: Bevel Improvements. I added the image to the right click select post too, please let me know if it is not ok here, thanks! Howard Trickey (howardt) updated the task description for T48583: Bevel Improvements. Bastien Montagne (mont29) closed T60736: Crash when trying to select vertex while using a subdivision modifier as Invalid. Brecht Van Lommel (brecht) renamed T61845: BMesh booleans fail with holes from Boolean modifier. BMesh solver is broken to BMesh booleans fail with holes. William Reynish (billreynish) added a comment to D4438: Added new options to the add curve menus for easier modeling. The Bevel and Curve Resolution are basically akin to U and V resolution on a UV Sphere. So I think yes, it does make sense to add both here. Alex Strand (astrand130) retitled D4438: Added new options to the add curve menus for easier modeling from Added new options to the add curve menus and changed the default curve fill to full for easier modeling to Added new options to the add curve menus for easier modeling. Alex Strand (astrand130) updated the diff for D4438: Added new options to the add curve menus for easier modeling. I split the properties between edit and object mode using a custom interface. Alex Strand (astrand130) added a comment to D4438: Added new options to the add curve menus for easier modeling. Thanks for the response. Good to see the curve default changes are pretty much ready to go. Feel free to commit those. Brecht Van Lommel (brecht) added a comment to D4438: Added new options to the add curve menus for easier modeling. I would leave out resolution from the add operator regardless, it should just have some reasonable default. I think this change makes sense. Brecht Van Lommel (brecht) edited reviewers for D4438: Added new options to the add curve menus for easier modeling, added: User Interface; removed: BF Blender: 2.8. Howard Trickey (howardt) added a comment to T61773: Bevel Amount Type: Percent - number too big to comfortably enter it by mouse movement. I am not sure whether I did anything in particular to fix the mouse sensitivity to percent, but it seems fine to me. Maybe this also had to do with the scale issue that my commit did fix. If the original reporter of this bug thinks it is still not ok for percent, please give more details (a .blend, and details about what you did -- I'm assuming adjusting by mouse movement, but maybe that was a wrong assumption). Howard Trickey (howardt) closed T61773: Bevel Amount Type: Percent - number too big to comfortably enter it by mouse movement as Resolved by committing rB208fafb28536: Fix T61773 Bevel and Inset mouse sensitivity, and bevel tool units..
Campbell Barton (campbellbarton) closed T56204: Edit Mode - Vertex Slide & Edge Slide do not honor 'C' toggle. problem affects multiple edit mode tools (shear as well) as Resolved. Fixing in 2.7x requires porting more changes then just this fix, closing. Carlo Andreacchio (candreacchio) added a comment to T56204: Edit Mode - Vertex Slide & Edge Slide do not honor 'C' toggle. problem affects multiple edit mode tools (shear as well). Sorry for the late followup. Pierre Tufenkjian (PiettroJewelry) added a comment to T59140: Subdivision Surface Modifier on meshes without faces does not work in editmode. Clément Foucault (fclem) closed T59140: Subdivision Surface Modifier on meshes without faces does not work in editmode as Resolved by committing rB81ae7773e74a: Fix T59140 : Loose edges of final mesh does not display in edit mode. Sebastian Parborg (zeddb) merged T62146: 2.80, If there are only edges and vertices, "adjust edit cage to modifier result" of subdivision modifier won't show the result in edit mode. 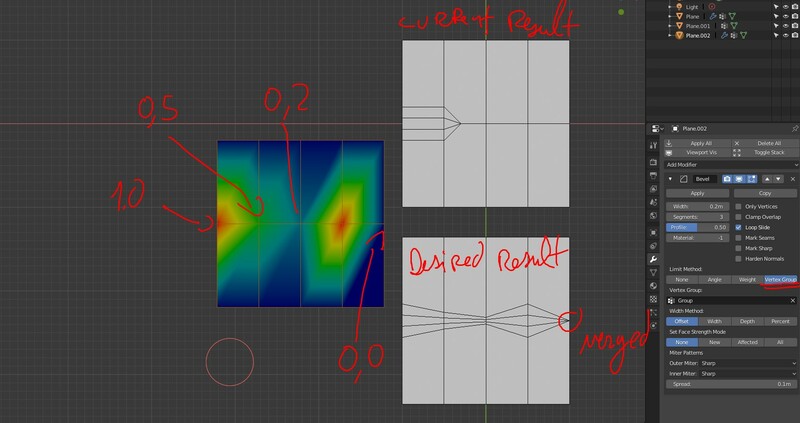 into T59140: Subdivision Surface Modifier on meshes without faces does not work in editmode. It seems the issue stems from the fact that Curves are added as primitives which can be created in both object and edit mode. So a fix to this might require some unwieldy code duplication. Unless someone can suggest a potential fix or is okay with this bit of UI inconsistency. I'm thinking of leaving out the extension to the add curve menu and make my only change a default to full fill mode/bevel resolution. I've been made aware that the extra add curve options only make sense in the context of object mode (creating a new curve). Alex Strand (astrand130) retitled D4438: Added new options to the add curve menus for easier modeling from Added new options to the add curve menus and changed the default curve fill to full for mesh easier modeling to Added new options to the add curve menus and changed the default curve fill to full for easier modeling. Alex Strand (astrand130) created D4438: Added new options to the add curve menus for easier modeling. Brecht Van Lommel (brecht) merged T62039: Inset tool sensitivity is dependent on object scale into T61773: Bevel Amount Type: Percent - number too big to comfortably enter it by mouse movement. Brecht Van Lommel (brecht) merged task T61973: Sculpting mesh in blender 2.80 - in material viewport does not update at the same time into T58890: Sculpt Mode not updating in LookDev or Rendered . Szymon Warunek (szymi) added a comment to T61973: Sculpting mesh in blender 2.80 - in material viewport does not update at the same time. Szymon Warunek (szymi) created T61973: Sculpting mesh in blender 2.80 - in material viewport does not update at the same time. Sebastian Parborg (zeddb) assigned T61845: BMesh booleans fail with holes to Campbell Barton (campbellbarton). Sebastian Parborg (zeddb) added a parent task for T61845: BMesh booleans fail with holes: T47030: BMesh booleans (track todo's). Brecht Van Lommel (brecht) edited projects for T61845: BMesh booleans fail with holes, added: BF Blender; removed BF Blender: 2.8. So3Datel (AxelMening) removed a project from T61845: BMesh booleans fail with holes: Platform: Windows. So3Datel (AxelMening) added projects to T61845: BMesh booleans fail with holes: BF Blender: 2.8, Modifiers, Mesh Modeling, Platform: Windows. Sebastian Parborg (zeddb) triaged T61773: Bevel Amount Type: Percent - number too big to comfortably enter it by mouse movement as Confirmed, Medium priority. Howard Trickey (howardt) claimed T61773: Bevel Amount Type: Percent - number too big to comfortably enter it by mouse movement. I will fix this by splitting, which will also make it possible to do units right (have already done this splitting in the modifier). William Reynish (billreynish) updated subscribers of T61773: Bevel Amount Type: Percent - number too big to comfortably enter it by mouse movement. This is also a problem for the units - we can’t make this value either a % or distance (m) because the same value is used for both distance and percentage. ThinkingPolygons (ThinkingPolygons) added a comment to T61773: Bevel Amount Type: Percent - number too big to comfortably enter it by mouse movement. Yeah, that can be annoying. Adam Pasek (Llamarider) added a project to T61773: Bevel Amount Type: Percent - number too big to comfortably enter it by mouse movement: Mesh Modeling. Brendon Murphy (meta-androcto) renamed T51049: SmartF easy fast tool for making faces Blender 2.8 from SmartF easy and fast tool for making faces to SmartF easy fast tool for making faces Blender 2.8. Howard Trickey (howardt) closed T61427: Bevel Modifier - Crash on changing Miter type. as Resolved by committing rB5c432cd11bc4: Fix T61427: Bevel crash with patch miter..
Sebastian Parborg (zeddb) merged T61495: blender crash when open a specific file into T61427: Bevel Modifier - Crash on changing Miter type..
Howard Trickey (howardt) raised the priority of T61427: Bevel Modifier - Crash on changing Miter type. from Confirmed, Medium to Confirmed, High. I confirm this and will fix it. Thanks for the report. Philipp Oeser (lichtwerk) assigned T61427: Bevel Modifier - Crash on changing Miter type. to Howard Trickey (howardt). Updated F2 addon included in SmartF with latest changes. Szymon Warunek (szymi) added a comment to T61363: Edge Split does not Preserve sharp corners. Bastien Montagne (mont29) closed T61363: Edge Split does not Preserve sharp corners as Invalid. Bastien Montagne (mont29) added a comment to T61363: Edge Split does not Preserve sharp corners. We do not handle user support on this tracker, only bug reports. User forums like blenderartists.org or blender.stackexchange.com should be used for that matter. should i apply something to the object? Szymon Warunek (szymi) created T61363: Edge Split does not Preserve sharp corners. Peter Johansson (PLJ) added a comment to T55764: Undo in edit mode causes a crash. Philipp Oeser (lichtwerk) closed T57104: Mesh Subdivide with smoothness is coordinate dependent as Archived. Hello please can fix this bug in Blender 2.8 , still not fixed , if you please fix it . Philipp Oeser (lichtwerk) closed T61038: Add-ons mesh_extra_objects in 2.8 as Archived. This addon hasnt been ported to 2.8 yet. Campbell Barton (campbellbarton) added a comment to T54996: The bridge tool fails in a situation with multiple rows of faces facing each other. I'm not sure about the blend file in this report, but found a case where loop-pairs fails in a more obvious way (where the pairs aren't calculated in a consistent way), posted updated blend. Campbell Barton (campbellbarton) updated the task description for T54996: The bridge tool fails in a situation with multiple rows of faces facing each other. Campbell Barton (campbellbarton) closed T55764: Undo in edit mode causes a crash as Resolved. Some fixes have been made in this area recently so this may have been fixed too. David Fidel Cuellar Castillo (dfcuellar123) updated the task description for T61038: Add-ons mesh_extra_objects in 2.8. David Fidel Cuellar Castillo (dfcuellar123) created T61038: Add-ons mesh_extra_objects in 2.8. William Reynish (billreynish) assigned T61006: Bug: Extrude faces along normals + "Individual origins" pivot point to Campbell Barton (campbellbarton). Confirmed. This does seem wrong, yes. It's also somewhat harmless given that you can just not use Individual Origins, but still it does seem like a bug, yes. Dong-Hyun Kim (temeddix) created T61006: Bug: Extrude faces along normals + "Individual origins" pivot point. Sebastian Parborg (zeddb) closed T60983: blender 2.79.7 - bevel edges issue as Invalid. 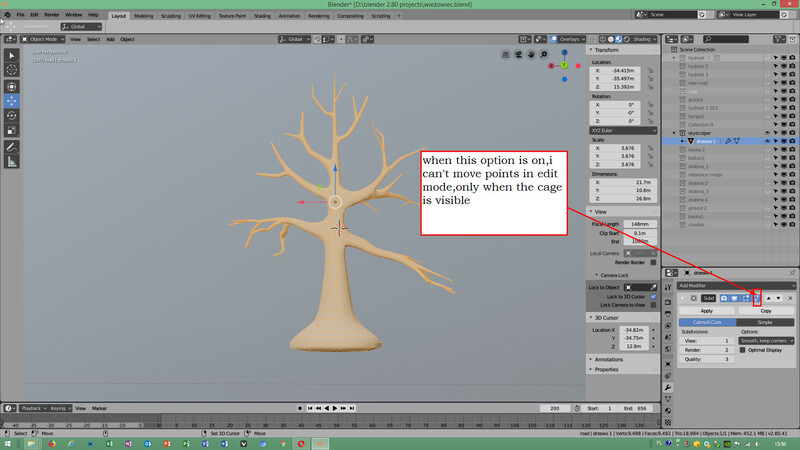 Szymon Warunek (szymi) added a comment to T60983: blender 2.79.7 - bevel edges issue. Szymon Warunek (szymi) created T60983: blender 2.79.7 - bevel edges issue. Jacques Lucke (JacquesLucke) closed T60226: Face inset problem as Resolved by committing rB3b6e4cf7cec8: Fix T60226: Inset not working well on very small faces. Campbell Barton (campbellbarton) closed T60976: please !!!! snap to center polygon and snap to center edge as Invalid. Sergey (2j_studio) created T60976: please !!!! snap to center polygon and snap to center edge. Philipp Oeser (lichtwerk) closed T60968: Duplicate and Join Shape Key Object crashes Blender as Resolved. Cannot reproduce (as of today). Please try a new build. Philipp Oeser (lichtwerk) merged T60972: Boolean: Bmesh doesn't work well with some geometry compared to Carve into T54024: BMesh boolean fails when edge is co-planar to face (under some circumstances). Jon-Marius (Shelfen) created T60968: Duplicate and Join Shape Key Object crashes Blender. Jacques Lucke (JacquesLucke) claimed T60226: Face inset problem. Szymon Warunek (szymi) added a comment to T60810: Blender 2.80 - Subdivision surface adjust edit cage when is turned on,blender quits. muhamad wicaksono (hirvi_jk) added a comment to T60777: grid fill bug on repeat last operation. i've just tested the newer version and the results are consistent throughout different simple and complex mesh holes that are made of either polys and tris. Campbell Barton (campbellbarton) added a comment to T60777: grid fill bug on repeat last operation. Applied alternate fix which keeps repeat transform working. Campbell Barton (campbellbarton) added a commit to T60777: grid fill bug on repeat last operation: rB3d8cbb534f82: Fix T60777: Grid fill fails when run via Repeat Last. 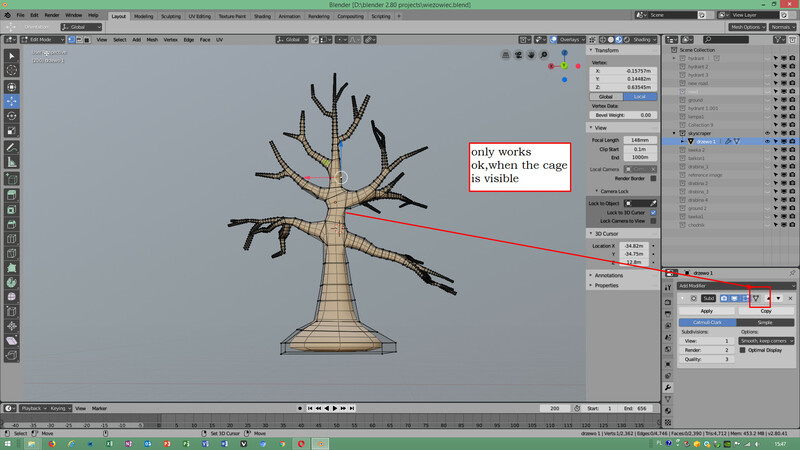 Philipp Oeser (lichtwerk) added a comment to T60810: Blender 2.80 - Subdivision surface adjust edit cage when is turned on,blender quits. Szymon Warunek (szymi) renamed T60810: Blender 2.80 - Subdivision surface adjust edit cage when is turned on,blender quits from Blender 2.80 - Subdivision surface causes blender to quit to Blender 2.80 - Subdivision surface adjust edit cage when is turned on,blender quits. Philipp Oeser (lichtwerk) closed T60810: Blender 2.80 - Subdivision surface adjust edit cage when is turned on,blender quits as Resolved by committing rBbc32240105fe: Fix T60810: crash editing mesh with subdivision modifier.